Our company is very well known in the manufacturing, supplying, trading and exporting of Gas Cylinder which includes Liquid Petroleum Gas, High Pressure Gas Cylinder, Helium Gas Cylinder and Industrial Oxygen Cylinder. These gas cylinders are quality tested by various quality inspectors in order to ensure that these conform to the Indian safety standards. In addition to this, these have market leading prices. 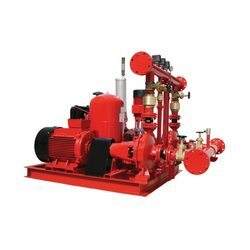 We are one of the sought after companies that is involved in manufacturing, trading, supplying and even exporting of high quality Fire pump. This pump is ideal to sprinkle water when a fire breaks out and helps to extinguish the fire. Made using the best quality of metals available so that it does not rust, corrode in any condition. It is also not susceptible to corrosion. 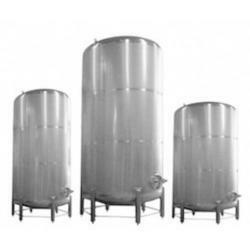 Manufacturing and supplying a range of pressure vessels, we are offering the Storage Vessels for our customers. To hold the liquids and gases at a desired pressure, these storage vessels are frequently used in, chemical, pharmaceutical and other industries. Owing to their sturdy construction and resistance to corrosion as well as tanning & cracks, these vessels are much demanded in the markets.